"The bungalows are so simple, nestled on the beautiful beach..."
Have a question for Seaview Rainbow Bungalow? "The beach bar has lovely drinks and the location is perfect close to shops,bars and restaurants." "The hammocks were so comfortable and the staff so nice with..."
If what you're looking for is a conveniently located hotel in Koh Phangan, look no further than Seaview Rainbow Bungalow. The excitement of the city center is only 6.8 km away. For sightseeing options and local attractions, one need not look far as the hotel enjoys close proximity to Laem Son Lake, Haad Son Beach, Hin Kong Beach. 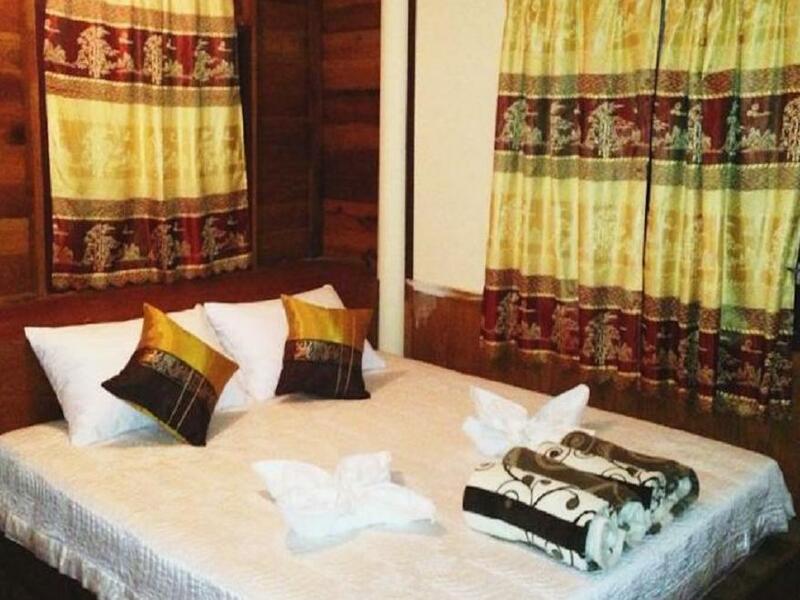 At Seaview Rainbow Bungalow, every effort is made to make guests feel comfortable. To do so, the hotel provides the best in services and amenities. This hotel offers numerous on-site facilities to satisfy even the most discerning guest. 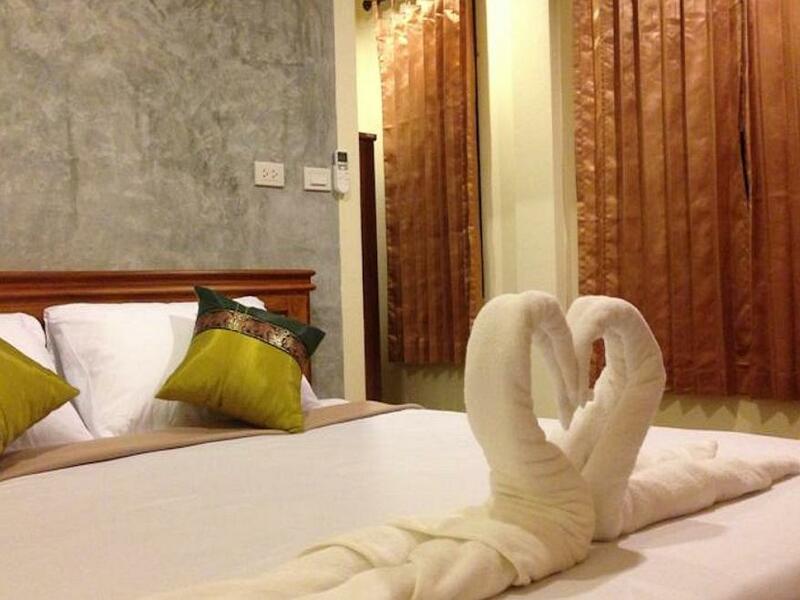 The ambiance of Seaview Rainbow Bungalow is reflected in every guestroom. clothes rack, towels, internet access – wireless (complimentary), non smoking rooms, air conditioning are just some of the facilities that can be found throughout the property. The hotel's recreational facilities, which include garden are designed for escape and relaxation. Superb facilities and an excellent location make the Seaview Rainbow Bungalow the perfect base from which to enjoy your stay in Koh Phangan. "The owners Go and Eiw are very friendly and helpful." We came here not expecting much but were completely blown away. The bungalows are so simple, nestled on the beautiful beach some overlooking the sea. The hammocks were so comfortable and the staff so nice with amazing food. The beach bar has lovely drinks and the location is perfect close to shops,bars and restaurants. When returning I will not stay anywhere else. We went to a few places in Thailand and this was by far the best place we have stayed. If you are looking for a good relaxed place on a nice Beach this is great. They have adequate wooden bungalows w Fans, bathroom, hot water, porch, hammock etc. They are very reasonable and only step from a nice Beach. The concrete ones have all that plus air con and are correspondingly more pricey. The food and drink at the restaurant are both excellent and comparatively inexpensive to the local restaurants. There are places close by to walk to for a change of pace or to rent a scooter, do laundry etc. The owners Go and Eiw are very friendly and helpful. If you are looking for the Full Moon party experience then look elsewhere. But if not the this place is great. I loved staying at this hotel, everything was just how i would have wished! Awesome location and friendly smiles! Quiet beach. The owner and staffs were nice. Room was a little bit small but it was ok for the price. We will come back. It was exactly what I was looking for... it was close to Agama Yoga School so I could walk; it was right on the beach, was quiet and had a reasonably priced restaurant with a great menu. Very rustic with no frills but it was ok with me. I'll be back! Schöner Strand, aber es waren dort sehr viele Familien. Einkaufsmöglichkeiten in der Nähe. Bungalow war geräumig und sauber mit Moskitonetz. Von der Terasse aus hatte man einen schönen Blick auf den Strand. Nettes Personal und gutes Essen im Restaurant. Einziger Nachteil war das sehr sehr schlechte Bzw gar kein wlan im Bungalow, dazu musste man immer zum Restaurant gehen, um dort das WLAN zu empfangen. la spiaggia è davvero bella. il cibo ottimo. peccato che in tre giorni non sia mai venuto nessuno a sistemare la stanza. Dopo due giorni ho dovuto portare io il secchio della spazzature del bagno, e chiudere di poter avere della carta igienica. i bungalow internamente fatiscenti, con lenzuola ed asciugamani sporchi. le pareti del bagno ricoperte di muffa! davvero un peccato perchè basterebbe davvero poco per risistemarle. Очень удобное расположение, рядом есть все необходимое. Центр острова, можно доехать в любую часть. Отличный пляж. Все хорошо, только в дорогом бунгало на берегу моря не было интернета. По собственной инициативе персонал не убирался. В баре бывало шумно и накурено, там собирались немецкие компании и весело проводили время. Не хотела бы я жить в бунгало рядом с ресторном, так как слушать шумные комапании--не самое приятное занятие на море. Зато бунгало с кондиционером на берегу очень хороши: вечером дует бриз, слышен плеск волн. Не хватало только Интернета и хотя бы небольшого холодильника. Perfekt ställe om man bara vill ta det lugnt och slappa. Alla bungalows ligger på stranden och våran låg närmast vattnet. Väldigt fint och fräscht för ett bra pris. Stranden är helt underbar och det går att spela volleyboll eller bara slappa i en hängmatta. Maten var väldigt god och jag kan värkligen rekommendera deras goda cocoshake eller mangolassi att svalka sig med.